A review of Gardenlust by Adrian Higgins of the Washington Post. The skills of the actor and musician are wholly portable. Sculptors may place their work around the world but are tied to their studios. Gardeners, working in the trickiest medium of them all — life — are by definition rooted to one place. That doesn’t mean they can’t go to see other gardens; such visits are essential to keep the creative juices flowing. But to pour your soul into gardening, you need your own garden and you have to shepherd it over many years. You’re stuck. That is the price of paradise. If you are passionate about gardens but have wanderlust, that seems like a curse of mythological proportion. 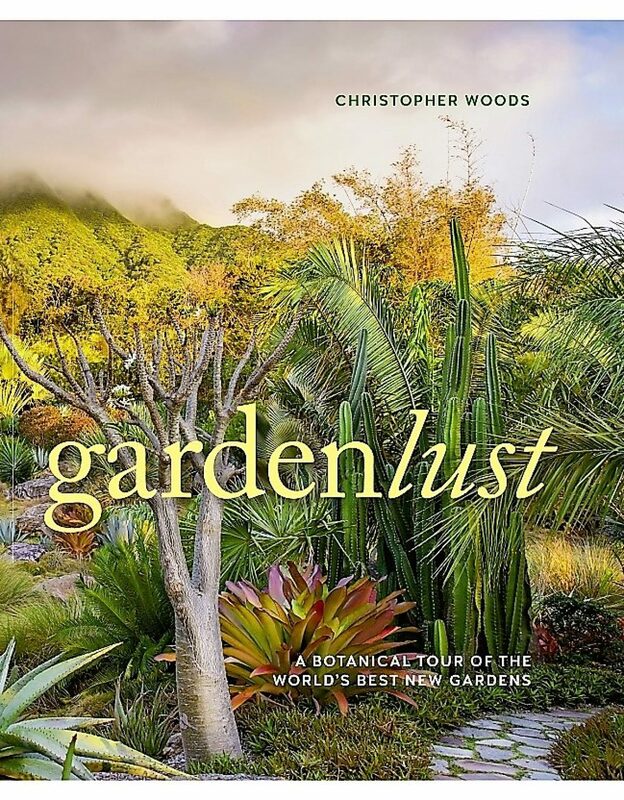 This might turn you into a plant explorer, a landscape photographer or, if you are Christopher Woods, into a horticultural sojourner and writer. It was not always thus. I first met him almost 20 years ago at Chanticleer, the garden in Wayne, Pa., where he was the founding director of an enchanting place. It was — and is — one of the sweetest gardens around, and Woods was by the time I met him already established as a nonconformist and a creative beacon to the team of gardeners he led. But I should have guessed he was seeking change, possibly a warmer place close to a beach. He greeted me wearing a Hawaiian shirt and a straw hat. Cerebral types (such as myself) have to be reminded that a garden, at base, is about attending to the senses, about creating an emotional response to aesthetic stimulation. Woods has always espoused this, as his book attests. All these places, though, have one thing in common: They were established since the beginning of the century, even if as part of existing landscapes. The imagination and effort that has gone into them must encourage anyone who thinks significant gardens are stuck in the past or, worse, fading from our distracted world. At Alnwick Castle in England, the Duchess of Northumberland raised and spent millions to create un­or­tho­dox garden elements that left parts of the English horticultural establishment clutching their pearls. This included a $10 million treehouse and a grandiose water cascade. Woods likes its radicalism and the fact that many of the features are designed for people dealing with life in a depressed, postindustrial part of Britain. 12-foot-high Salvia foveolata grow in a summer garden in Washington? It would be worth putting it to the test. Woods, who resides near Berkeley, Calif., speaks of his early affinity for plants but, just as important, for kindred spirits who continue to define their own visions of a garden without being shackled to the past. The garden is a human artifice, he writes, but it connects to the rest of nature and stops us from thinking of other life-forms as being separate. Woods was on the other side of the world when I tried to reach him recently. He emailed me from New Zealand and a couple of days later from the South Pacific. “I am now on a beach in New Caledonia looking at Araucaria columnaris. A lot of it,” he wrote. That would be the New Caledonian pine. He tells readers that he is at a point in life when “I have more or less replaced constant resettlement with near-constant travel. I continue to fall in love with this extraordinary world and its botanical marvels.” I wonder, is he running from his own mortality? Should we join him?